Homemade banana bread will forever be my favorite, even when I don’t think it is. Because as soon as I eat a bite, I’m once again obsessed. 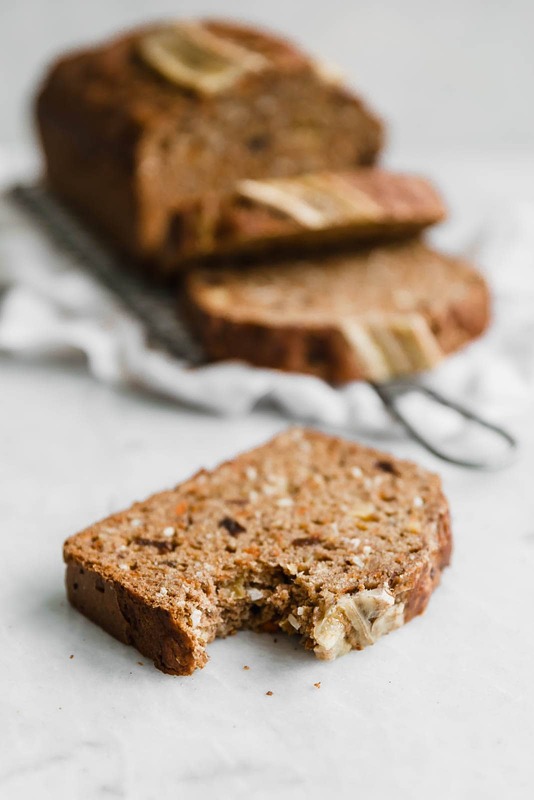 This carrot cake banana bread is made with coconut, raisins, carrots, and cinnamon, making it super flavorful and chock full of goodness. I absolutely LOVED the texture of this bread—soft, moist, and light. 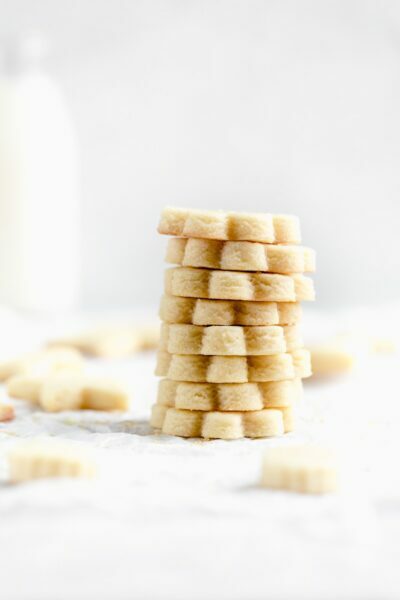 It makes for a perfect breakfast to snack on while drinking your morning coffee or tea. I love how easy it is to make homemade banana bread. You just have to chuck all the ingredients into a bowl, give it a good stir, pour it all into a loaf pan, and pop it into the oven. Honestly, the only downside of making your own banana bread is that it takes a whole hour to bake. (I’ve never been the most patient person, what can I say?). 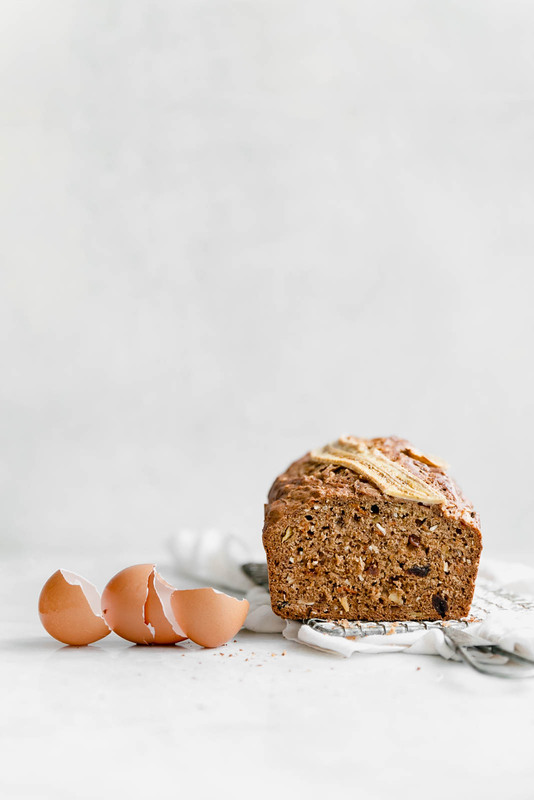 To make this carrot cake banana bread, you’ll first need to combine the mashed bananas, grated carrots, crushed pineapple, coconut flakes, raisins, walnuts, vegetable oil, sugar, eggs, and vanilla in a large bowl. (I realize this sounds like a ton of ingredients, but I bet you have most of it on hand already!). In a separate bowl, mix together the flour, baking soda, cinnamon, ginger, and salt. Slowly incorporate the dry ingredients into the wet, then pour the batter into a prepared loaf pan. I topped this banana bread with a halved banana to add some extra texture. Plus, it just looks nice when you take it out of the oven! Bake the banana bread for an hour, or until a knife inserted into the middle comes out clean. 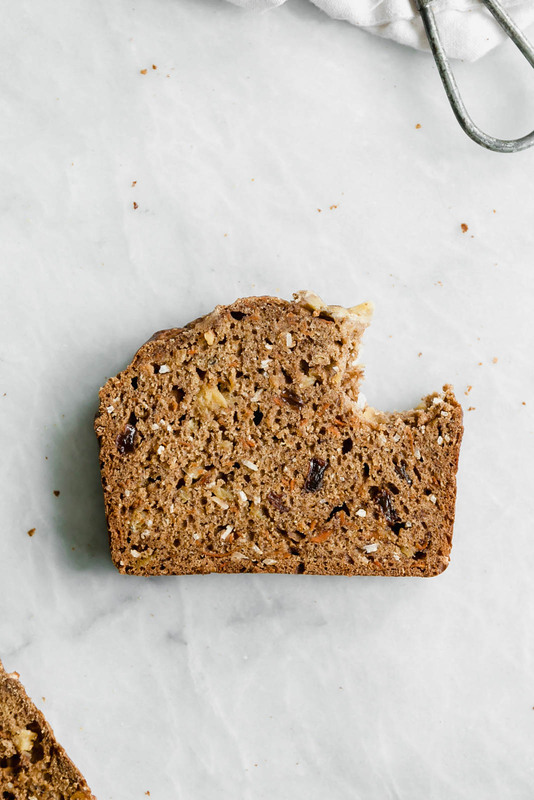 Unlike cookies and brownies, you do not want to under bake this carrot cake banana bread. There’s no such thing as a “fudgy” banana bread (or maybe there is…?). If you under bake this bread, you’ll wind up with a sad, soggy loaf. Use brown bananas—Homemade banana bread tastes best when you use overripe, brown bananas. Brown bananas taste extra sweet and have a super soft consistency that makes them perfect for tossing into baked goods. Out of brown bananas? Pierce a few bananas with a fork and bake them for 15 minutes, or until they turn brown. Allow them to cool completely before mixing them into your banana bread batter. 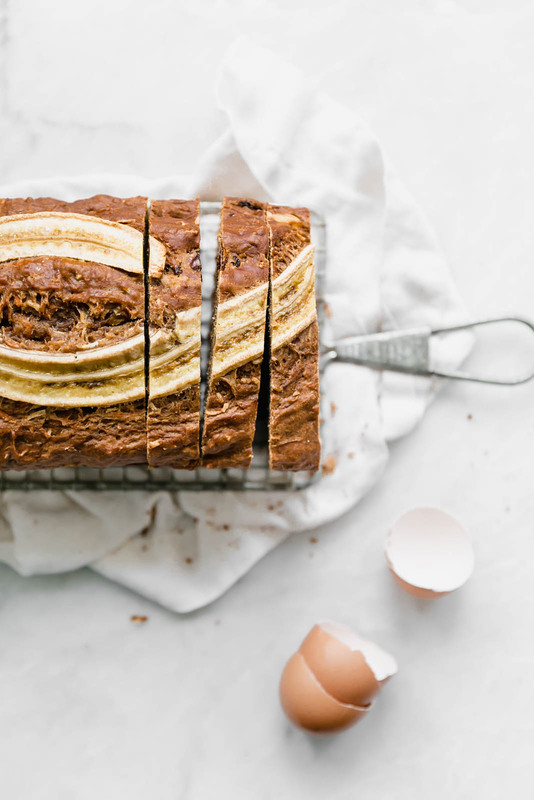 Use unsweetened coconut flakes—Banana bread is naturally quite sweet thanks to the brown bananas. I recommend using unsweetened shredded coconut in this recipe, otherwise I’m afraid your bread will turn out too sweet. Even my sweet tooth has its limits! Buy pre-shredded carrots—If you’re in a time crunch, go ahead and pay a little extra for those pre-shredded bags of carrots. You can throw the leftover carrots into soups and stews, or enjoy them on top of salads. It’s okay to use a shortcut in your baking every once in a while! Swap out the oil as needed—Out of vegetable oil? You can use melted coconut oil or melted butter in this recipe instead. 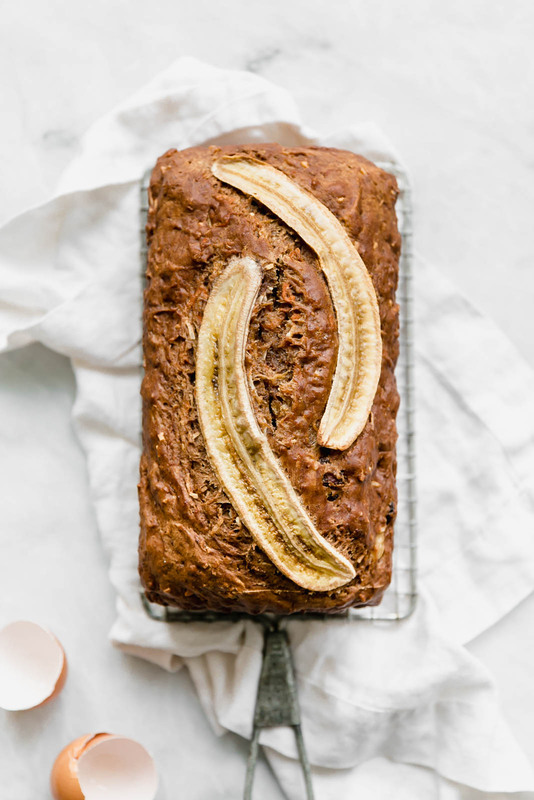 The flavor of the banana bread might be a little different, but it’d still taste delicious. In other news, Alex and I move from Detroit to Boston in A WEEK. Like, what?! That’s crazy. We found a gorgeous brownstone apartment and I couldn’t be happier to be starting the next chapter of my life with my love. In a large bowl, combine mashed bananas, grated carrots, crushed pineapple, coconut flakes, raisins, walnuts, vegetable oil, sugar, eggs, and vanilla, stirring to combine. In a separate bowl, combine the flour, baking soda, cinnamon, ginger, and salt. Fold the dry ingredients into the wet. Pour batter into prepared loaf pan. Top with additional banana, cut in half lengthwise. Bake for 60 minutes, or until a knife inserted in the center comes out clean. Allow to cool for 15 minutes before removing from pan! I love carrot cake! I love banana bread! This is amazing! 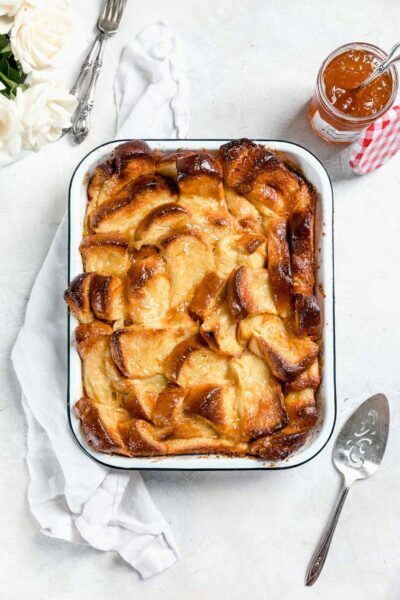 Two deeelicious treats in one loaf: dessert and breakfast combined! Sarah, this looks amazing! I can’t wait to bake it. Another beauty coming from you …. Thank you ! I’m obsessed, this looks magical! Beautiful photos! I have to bake one of these! This is delicious! I used white whole-wheat flour, added a few scoops of whey-based protein powder, halved the sugar, and doubled the recipe. 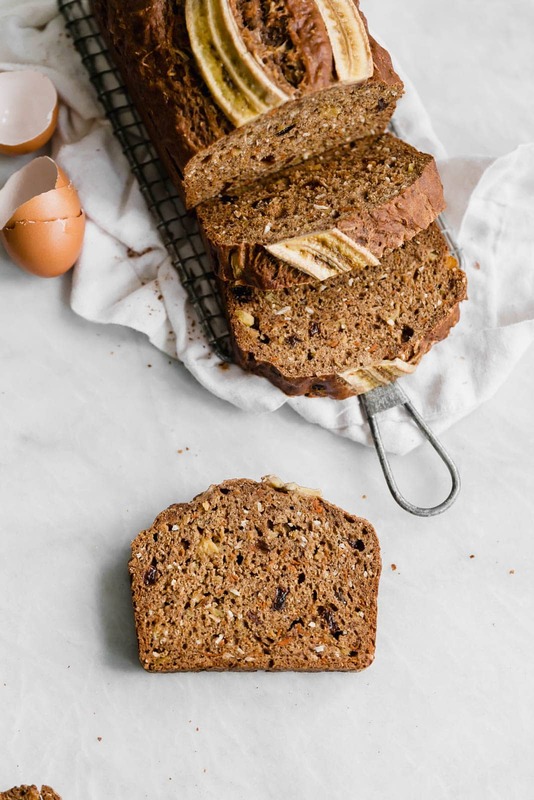 I’ve been looking for a morning breakfast bread for a long time and I think this is it! Delicious! I have this in the oven right now, to take to my daughter who lives in Boston. She’s in Back Bay, where is your apartment, Sarah? She is pregnant with twins, due in Nov., and has a toddler who will be 2 in early Spetember. Right now she’s craving sweet things,, so this should be satisfying and healthy! (I sent her a banana bread that had peanut butter and protein powder, but she said the texture was a bit strange; either it was the protein powder or I did something else to cause that.) So I made this per the recipe, except I left out the coconut and raisins becuase she’s not a fan and added ⅓ cup of oats. The batter was yummy! 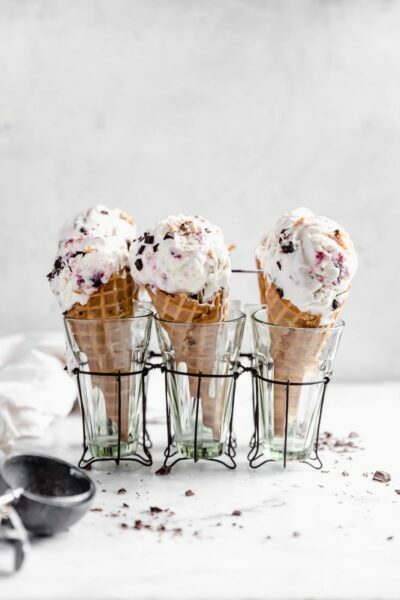 Delightful recipe! I doubled the recipe and modified it slightly to accomodate a family member who is requiring a low sugar diet by using 3/4 monk fruit “sugar” instead of the sugar. You would were never know that the bread had no added sugar. The flavors, moistness and textures were excellent. Next challenge is to see if I can modify to make gluten free for my daughter. Thanks for a delicious recipe. Lovvvve this combination! The texture looks so perfect, and your photos are beautiful!